The recently tabled Economy Survey 2017-18 highlighted the mammoth growth of the country’s domestic aviation sector, dubbed the fastest growing domestic aviation market in the world in terms of number of domestic tickets sold. The Economic Survey 2018, tabled in Parliament by the Union Minister for Finance and Corporate Affairs, Arun Jaitley predicts India’s GDP to grow 7 – 7.5 pc in 2018-19, an increase from its prediction of 6.75 pc growth this fiscal. The survey points out that India can be rated as among the best performing economies in the world as the average growth during last three years is around 4 percentage points higher than global growth and nearly 3 percentage points higher than that of Emerging Market and Developing Economies. According to the Economic Survey, India is the third largest and the fastest growing domestic aviation market in the world in terms of number of domestic tickets sold. The survey added that domestic passenger departures grew by 23.5 pc in 2016-17, as compared to 3.3 pc in the US and 10.7 pc in China. From 2007-08 to 2016-17, the domestic passenger traffic grew by a compound annual growth rate of 9.89 pc. “In 2017-18 (April – September), domestic airlines carried 57.5 million passengers, with a growth rate of 16 pc over the corresponding previous year period. Scheduled Indian and foreign carriers carried 29.2 million passengers to and from India, and showed a growth rate of 9 pc in 2017-18 (April – September) over the corresponding previous year period,” stated the Survey. The cargo segment also grew handsomely in the year. The domestic air cargo handled was 0.61 million metric tons, a growth of 10.27 pc over the corresponding previous year. International air cargo grew by 19 pc to 1.07 million metric tons. The Economic Survey also pointed out the introduction of 18 new airports. “Government has granted in-principle approval,” stated the Survey. The 18 new airports include those in Mopa in Goa, Navi Mumbai, Shirdi and Sindhudurg in Maharashtra, Bijapur, Gulbarga, Hasan and Shimoga in Karnataka and Kannur in Kerala. Apart from these, the Government has granted “site clearance” for five greenfield airports: Machiwara in Punjab, Itanagar in Arunachal Pradesh, Jamshedpur in Jharkhand, Alwar in Rajasthan and Kothagudem in Telangana. The government’s regional connectivity scheme has brought down the prices of air fares with more airlines vying for the top spot in the business. As the competition increases and airfare decreases, the number of tourists taking to flights has increased within the country and from the country. The growth in the aviation sector has helped in expanding the country’s tourism sector. According to the survey, “Outbound tourism has also picked up in recent years, with the number of departures of Indian nationals from India growing by 7.3 pc to 21.9 million during 2016, from 20.4 million in 2015. This is more than double the foreign tourist arrivals in India. Domestic tourist visits grew by 12.7 pc to 1,614 million in 2016 from 1,432 million in 2015,” it added. 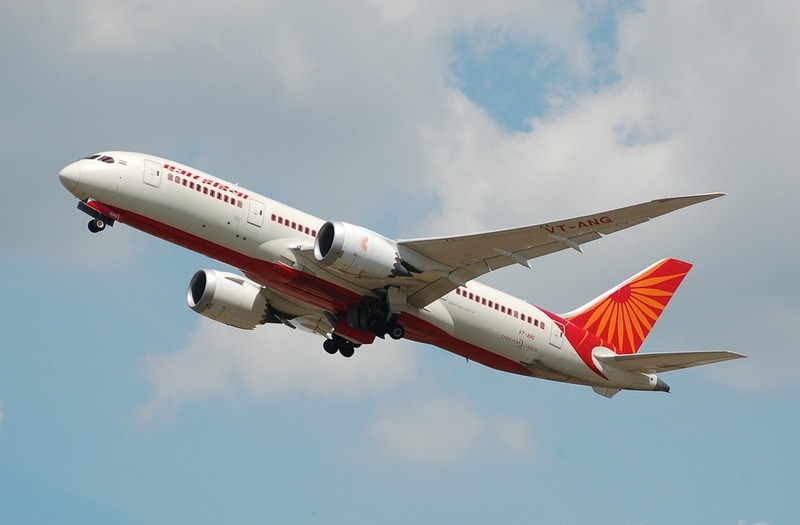 A 2017 CAPA report also affirmed the highlights of the Economic Survey; it talked about India’s air traffic witnessing a significant growth on both domestic and international fronts with private airlines and the national carrier focussed on increased flight connectivity.